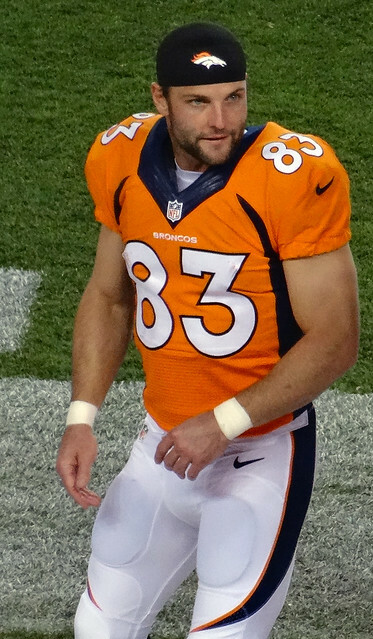 Wes Welker – Broncos head coach John Fox told the media that Welker is doing well in his recovery from a concussion suffered just last week. It could just be mind games for the Colts in week 1, but if true it’s a good sign for Welker who suffered his third concussion in just 10 months. We all know what Welker can do when he’s healthy, and he was off to a really impressive start in 2013, but concussions can end a player’s season (or career) in the blink of an eye. If your league mates want to overrate Welker based on his track record or situation let them have him. He’s one of the more over-valued players in fantasy this season due to his significant injury risk. Tim Wright – Wright was traded (along with a draft pick) from Tampa Bay to New England in exchange for pro-bowl guard Logan Mankins. The Patriots paid quite the price for Wright, so they must think pretty highly of him. Wright was a receiver in college and could be an ideal fit for the Aaron Hernandez “move tight end” role, but he’ll need some time to get familiar with the Pats complicated offense. While I wouldn’t run him way up my draft board, Wright was an intriguing player to grab late in drafts and the trade moves up a few notches. John Brown – Cards head coach Bruce Arians told the media that standout rookie John Brown would be used on at least 60 percent of the team’s plays this season. As NFL.com points out, T.Y. Hilton played in 57 percent of the Colts plays, so 60+ percent would be a very good workload. If Arians is true to his word, Brown has a chance to put up mid tier WR numbers or better. He can be had for a song with an ADP of just 210.6. Shaun Hill – Rams coach Jeff Fisher told the media that the Rams will be sticking with Shaun Hill as quarterback, replacing the injured Sam Bradford. There was some rumor that the Rams would be trading for a replacement, but that won’t be the case… for now. Hill did put up impressive fantasy numbers in Detroit when given the chance, but until he can prove it again in St. Louis, he’s a bottom tier quarterback option in fantasy leagues. Juron Criner – For the past few seasons Juron Criner has been tagged with the “fantasy sleeper” label, but that all came to a halt on Tuesday when the Raiders released him. Criner came out of college as a raw player but had some upside with good size and measurables but has never been able to put it all together. He’ll likely catch on with another team, but he can safely be avoided until he shows that he can live up to his potential. DuJuan Harris – Packers beat writer Bob McGinn is reporting that running back DuJuan Harris is a serious contender for the backup job to starter Eddie Lacy. James Starks had been thought to be the primary backup but at this point the job appears to be unsettled. Harris had an impressive finish to the 2012 season, including the playoffs, but missed the entire 2013 season with a knee injury.